“There are three distinct divisions in the fleet. For a potential winner, I’d pick Dongfeng or Mapfre as they are the best trained and bring experience from the last race; they also performed well on Leg Zero. Of the two, Mapfre probably has the stronger personnel. Behind them you have Brunel, with some good people and a lot of experience in Bouwe Bekking and Capey [navigator, Andrew Cape] but they haven’t done much training. Then there’s AkzoNobel which seem to have been pretty disorganised for the past year. That said, they have Jules Salter navigating, and [three-time winner] Brad Jackson, so they’ll compete. Then you have Vestas, who are under-resourced and under-trained, but they have good sailors like SiFi [Simon Fisher, Walker’s race-winning navigator from Abu Dhabi Ocean Racing], Phil Harmer, Nick Dana, Charlie Enright. Then you have Turn the Tide on Plastic and Scallywag, who are both very late, with little experience. These new teams may struggle. 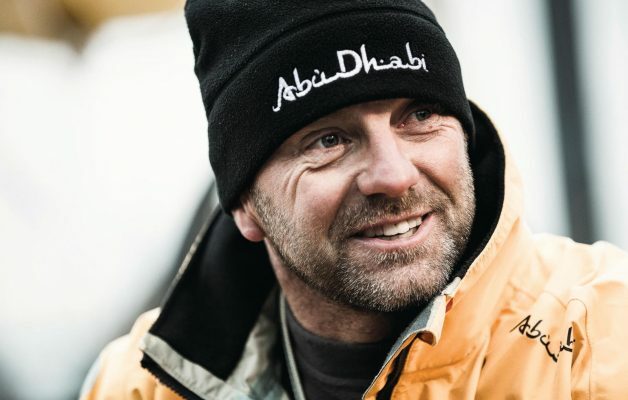 It’s Simeon Tienpont’s first time as skipper, although the Dutchman has competed twice before, as part of ABN Amro 2 over a decade ago, and for part of the race with the ill-fated Team Vestas Wind in the last edition. AkzoNobel has the services of British navigator Jules Salter and seven-time veteran and three-time winner Brad Jackson. 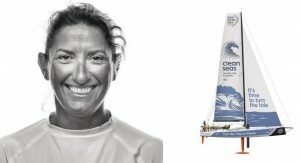 The 2016 Olympic Champion in the 49erFX dinghy, Martine Grael is one of the talented first-timers on board. Dongfeng Race Team was one of the surprise packages of the previous race as the French veterans headed by skipper Charles Caudrelier and navigator Pascal Bidégorry vied for the overall lead with a crew including some Chinese sailors who had never raced offshore before. Three of those Chinese – ‘Black’, ‘Horace’ and ‘Wolf’ – are back alongside Caudrelier and Bidégorry, with Stu Bannatyne, Carolijn Brouwer and Marie Riou from France. Xabi Fernandez has been waiting for a long time. The two-time 49er Olympic medallist has become one of the most valued team players in the Volvo Ocean Race and now leads a strong squad that includes Briton Rob Greenhalgh and Joan Vila. Kiwi Blair Tuke, an offshore virgin, is trying for a triple never before achieved in sailing: he has an Olympic Gold and an America’s Cup win behind him. 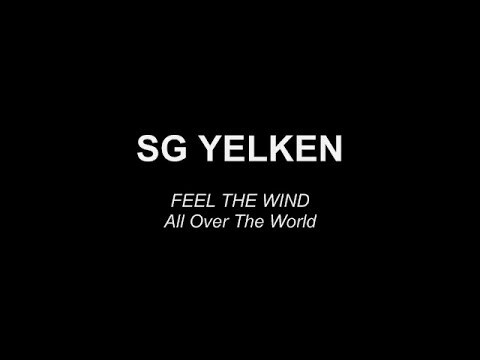 Could this make him the most complete sailor the world has seen? Charlie Enright and Mark Towill have assembled a strong crew for Vestas 11th Hour Racing. They’ve got the race-winning navigator from last time, Britain’s Simon Fisher, and other former race winners such as Damian Foxall (Ireland), Phil Harmer (Australia) and Tony Mutter (New Zealand). British Olympic squad sailor Hannah Diamond and reigning 49er world champion from Denmark, Jena Mai Hansen, will be on their first offshore adventure. This is a team with plenty of experience sailing together and in David Witt they have a leader who speaks his mind. The straight-talking Australian is back in the race 20 years after he competed aboard Innovation Kvaerner and while Scallywag is not expected to make the podium there is still some good skill on board including British navigator Steve Hayles and young Australian Luke Parkinson. Despite being widely quoted as planning an all-male squad, Witt says those comments were taken out of context and team Scallywag now includes former Olympian Annemieke Bes. Turn the Tide on Plastic is a mixed, youth-focussed team with a strong sustainability message, led by Britain’s Dee Caffari. Caffari has put together a 50:50 male-female squad, with the majority under 30 years of age. Among many interesting crew selections are Irish Olympian Annalise Murphy and young cat sailor Bleddyn Môn, who raced aboard Land Rover BAR in the America’s Cup. Both of these young sailors are about to go ocean racing for the first time. Late announcements include Nicolas Lunven and Brian Thompson, both of whom bring serious navigational and ocean racing skills and experience to the squad. No one has sailed more miles in the Volvo Ocean Race than Team Brunel skipper Bouwe Bekking. After seven editions, the 54-year-old skipper is still seeking his first win but has some useful experience alongside Australian veteran Andrew Cape. Former Team SCA crew Annie Lush brings a lot of power to her role. America’s Cup winner Pete Burling, is on board and, like his Olympic crewmate Blair Tuke, is going for an unprecedented sailing ‘triple crown’.